Unlike many web editors in existence, Thimble isn't an icon-laden drag 'n drop fest filled with context sensitive property panels and menus. Rather, Thimble offers a simple notepad-like environment where coders can bang out their HTML while they view a real-time, instantaneous preview of their work. When a user finishes, they can publish their efforts in a single click for all to see, complete with hosting and a link. If you're thinking about using Thimble to create your own web page or website though, you should definitely reconsider. Why? Well, first and foremost, Thimble isn't a finished product. Since the current iteration is merely a test run, anything goes. Secondly, although Thimble makes it super easy to type out and publish your web-based masterpiece, its current form isn't quite conducive to hosting an entire website. For example, when you publish a page, you receive a link to share with others (e.g. http://thimbletest.org/p/4fn). If you want to edit that page again, you merely need to add "/edit" to the end of its URL like so: http://thimbletest.org/p/4fn/edit. Next, when you save your changes, you receive a completely different URL, like this: http://thimbletest.org/p/4dl. Now, you have a copy of your old page, a copy of your new page and both have different addresses. This actually may be intentional behavior -- it makes it seemingly impossible to maintain valid links across a multi-page site. 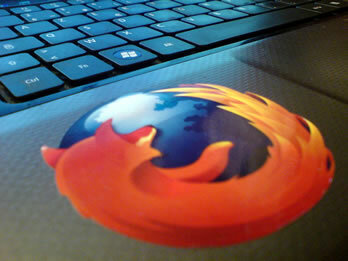 There is also the issue of deleting pages: there is currently no way to do this, aside from contacting Mozilla support. As you can see, Thimble is definitely intended for single pages.